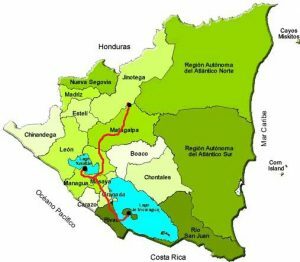 Contribute into one of the most important water conservation programs of Northern Nicaragua in Macizo Peñas Blancas. Learn about the 36 natural water sources, be part of the development programs to supply drinking water to nearby towns. Besides, learn about bamboo’s benefits to the ecosystem and about honey production. You also have time to hike the reserve up to a waterfall; on the way, your guide tells you about flora and fauna of the zone; as well as, history facts as the stone permission and the guerrilla cave.